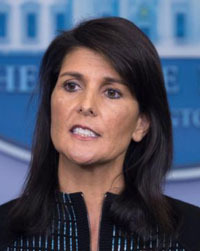 KINSHASA, Congo (CNS) — Nikki Haley, U.S. ambassador the United Nations, praised Congo’s bishops for their efforts for peace and democracy in the embattled country. During a visit to the bishops’ conference headquarters Oct. 27, Haley thanked the bishops for mediating peace talks between the government and opposition after political violence last December. The bishops helped both sides sign a Dec. 31 agreement that said President Joseph Kabila would remain in office, but elections would be held before the end of 2017. 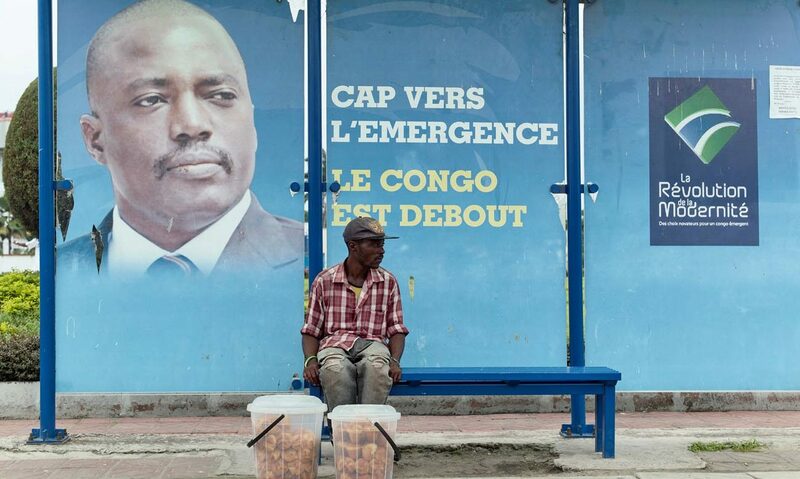 However, Congo’s electoral commission has said elections will be held in mid-2019, which again has raised chaos in the country. Haley spent two days in the country to assess the humanitarian, security and political crisis. She urged the bishops to again get involved in ending the deadlock. She said that every day that passes without elections, a woman is raped, a child has an unwanted pregnancy, and children are forced to be soldiers. Father Donatien Shole, deputy secretary of the Congolese bishops’ conference, thanked Haley for the visit. He said the bishops, too, hope that elections will be held soon. Father Shole said Congolese look to the international community for support so that the elections can be held as soon possible. Haley later told the press that if Congo does not hold elections next year, it will lose support from USA and international community.